This year Pushkin PR celebrates 15 years in business. It seems like yesterday that my wife led me by the hand into the deep end of the pool and gave me the encouragement I needed to leave the world of steady paychecks. I’m proud of how much I’ve accomplished and how much Pushkin PR has grown. I’ve learned a lot more than 15 lessons in that time. 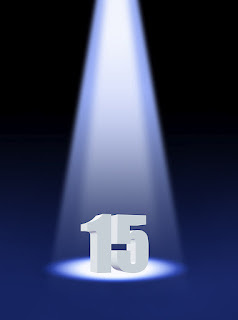 But for the purpose of this blog, here are 15 lessons that really stand out. Like a lot of independent practitioners, I started in a home office. Flying solo is nice but I enjoy working in teams. I found that collaborating with creative people to deliver quality work is extremely rewarding. It allowed me to be a full-service firm without having to hire employees. Perfect. It doesn’t have to be formal but partnering with talented specialists that I can rely on, learn from and trust helped me provide clients with an array of services such as video production, web design and graphic design that I could not offer on my own. Someone told me when I first started that after five years I would learn to stop panicking if I lost a client. That’s bull. I still freak out. But at least now I know that I will find a new client or clients to replace the lost business and things may turn out better in the long run. Sometimes things happen for a reason. If you are not producing results for your clients it won’t matter how great your team is or how cool your office is. It still comes down to delivering what you promise and meeting client expectations. From day one I wanted clients I could work for with respect. I need to know that they are ethical people doing ethical business. What I’ve learned is that it’s just as important for the client to respect my accomplishments and trust my judgment. Without mutual respect the relationship is doomed. You won’t find me spiking the ball or gloating, but I will admit that competing for a client’s business and winning the account feels good. Damn good. There is a reason why most of us hate RFPs. They are a lot of work and when you lose it feels bad. Really bad. It’s important to like where you work. I enjoyed my home office and the two offices I shared with a colleague. But I love my current office because it communicates what I hope Pushkin PR represents. It’s solid. It’s got some history. It’s unpretentious. It’s acoustic, not electric. Nothing is more important to the health of your business than your reputation. That’s a lesson that guides every decision I make every day. Relationships are meant to last. Whether it’s with our clients, our team, our partners or the media, public relations depends on long-term relationships. Make sure they are built to last. Base them on honesty, trust, and a solid ethical foundation. Sometimes you need to put the closed sign on the door. Leave the office behind and enjoy some down time. Unwinding is good, especially for PR pros. We have a tendency to get a little wound up. As a former working musician, I still have a hard time passing up a gig. But learning to say no when your plate is too full is OK. And if the client relationship is not working, walk away. Firing a client is better than the alternative. It’s OK to say yes. Just because your plate is full does not mean you are off the hook if a worthy cause really needs your help. The public relations profession has a responsibility to further the public good. Sometimes we might even have to work pro bono. This is not something you do at a convention. It means trusting your teammates. Make the extra pass. Even if you are the star player you don’t have to take every shot. I have so much to be grateful for. Ethical clients. A talented team. A cool office. A supportive wife. A solid reputation in the Denver public relations community. I took a leap of faith 15 years ago filled with excitement and trepidation. That’s still how I feel about my business today. I’m excited about the future but a little nervous about the uncertainty. Like a musician that hits the stage not knowing how the crowd will respond, running a business is like washing down a shot of stage fright with a pint of adrenaline. Sometimes it’s hard to swallow but I couldn’t think of anything else I’d rather be doing. Great post Jon. I totally agree, and I am proud to be one of those partners you like to work with and have seen your business grow into what it is today. I also remember your start 15 years ago.